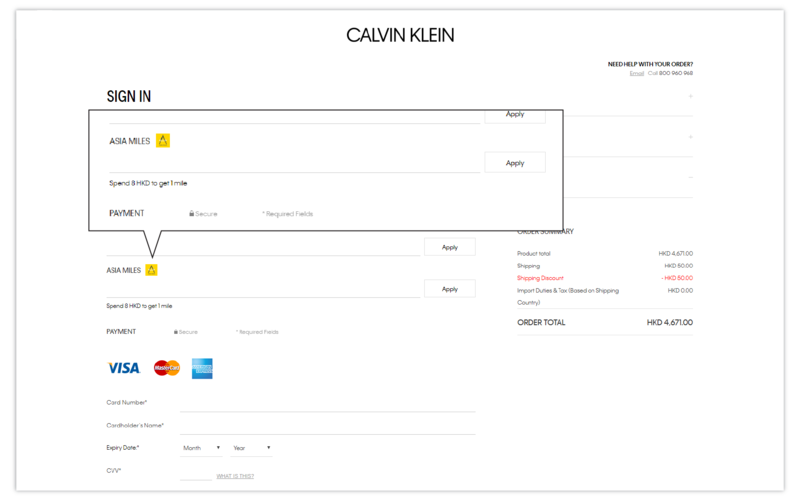 Purchase items online through the Calvin Klein Online Store. Enter your Asia Miles membership no., family name and first name when you check out, you will be able to see how many Asia Miles you can earn through-out the whole process of purchase. 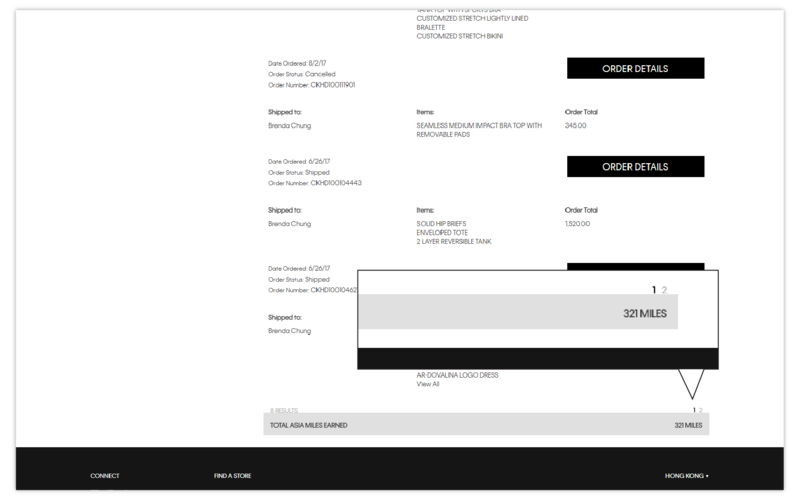 The amount of Asia Miles earned will be shown on the Order confirmation Email. 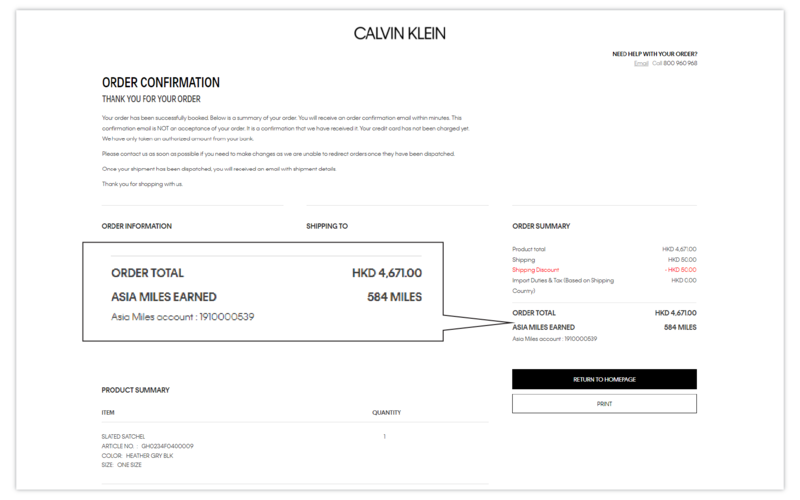 If you are Calvin Klein Online Store registered customer, you can login and check back the total amount of Asia Miles earned through My Account Order History. Asia Miles membership no. must be entered upon checkout to be effective to earn miles. Fill in the family and last name in billing information matched with the Asia Miles membership card or co-branded card. Asia Miles cannot be earned in conjunction with gift on purchase or any other promotional offer. Miles will be credited to your Asia Miles account 6 to 8 weeks after each successful transaction. Miles cannot be earned for cancelled, returned or refunded orders. No Asia Miles can be earned in respect of delivery charges or any other additional charges which are separate and additional to the price for the Products. 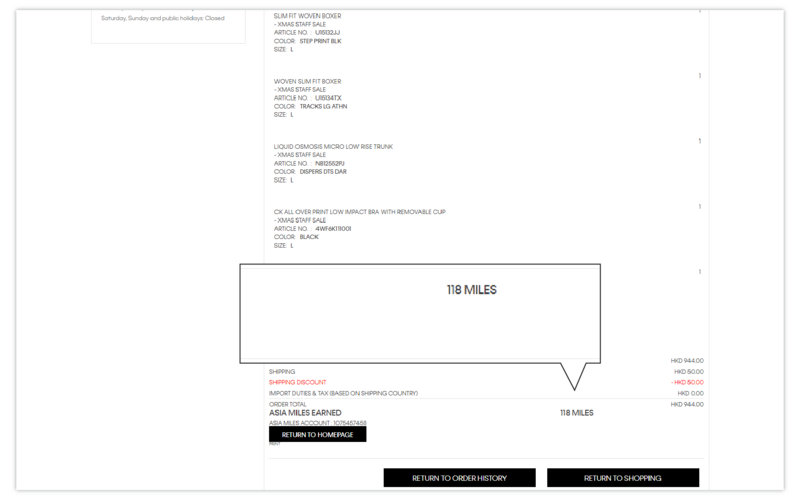 Asia Miles Limited and Calvin Klein Online Store reserve the right to amend any of these terms and conditions. 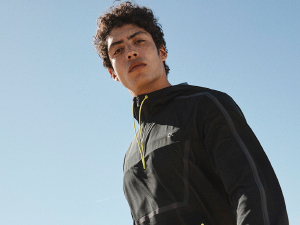 All matters and disputes will be subjected to the final decision of Asia miles Limited and Calvin Klein Online Store. 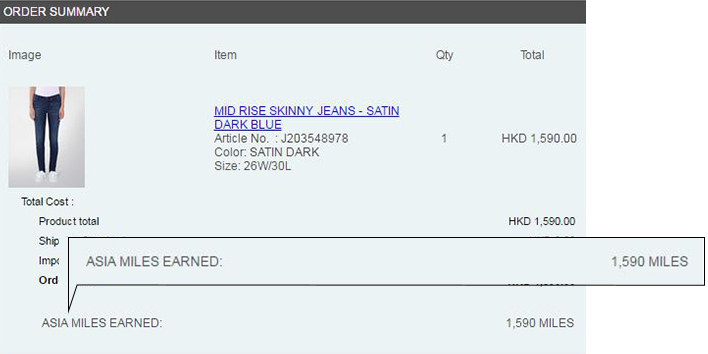 Other Asia Miles and Calvin Klein Online Store terms and conditions apply.